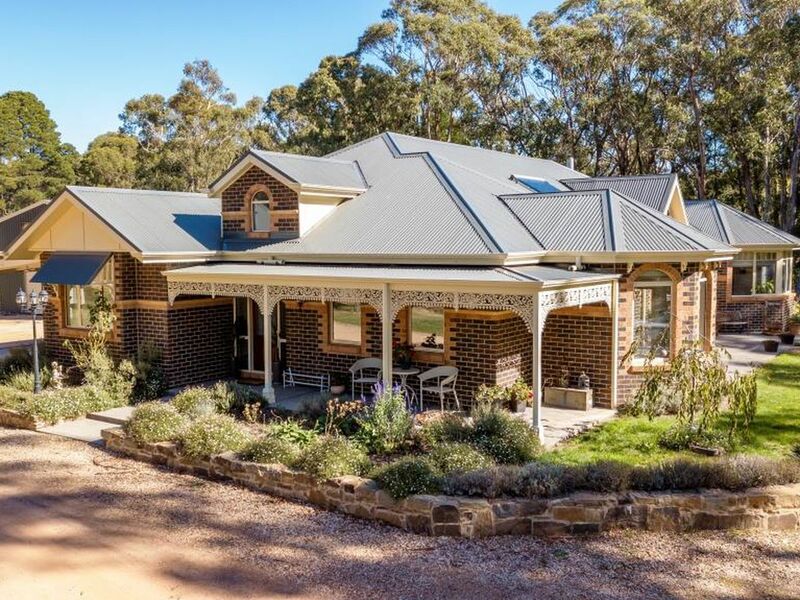 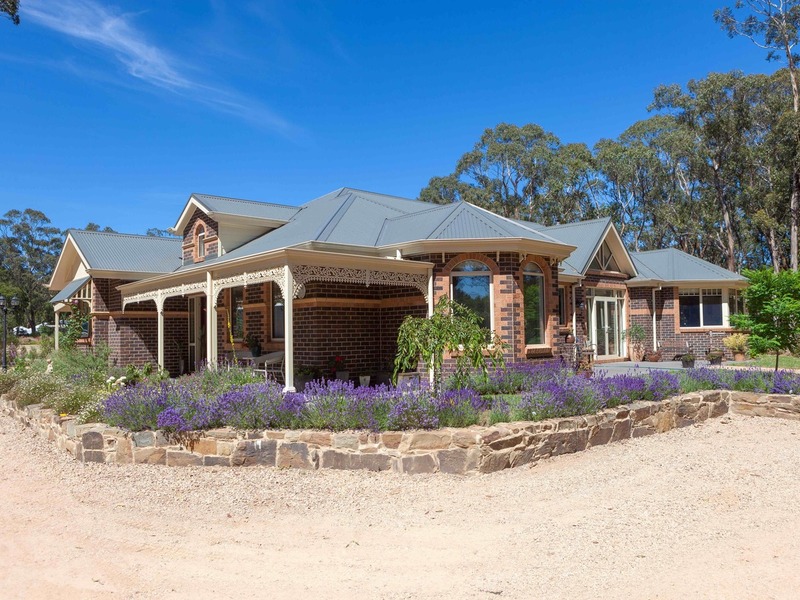 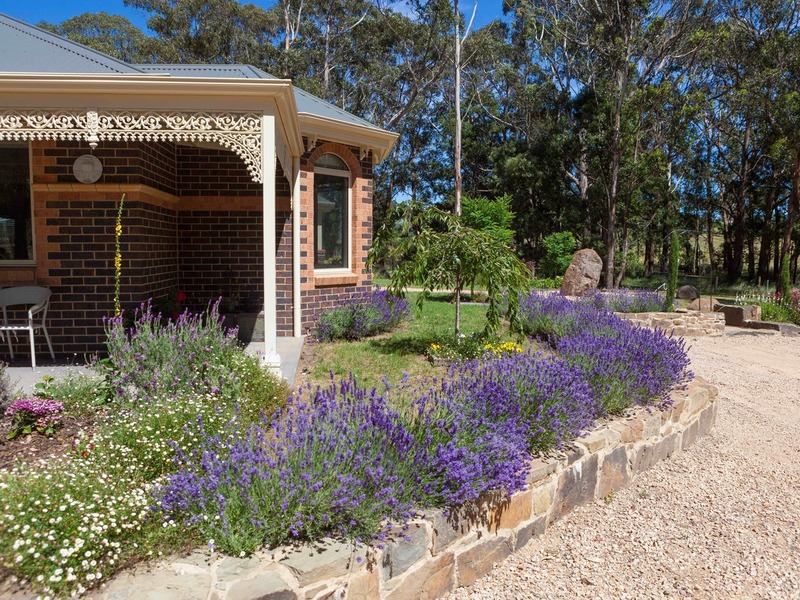 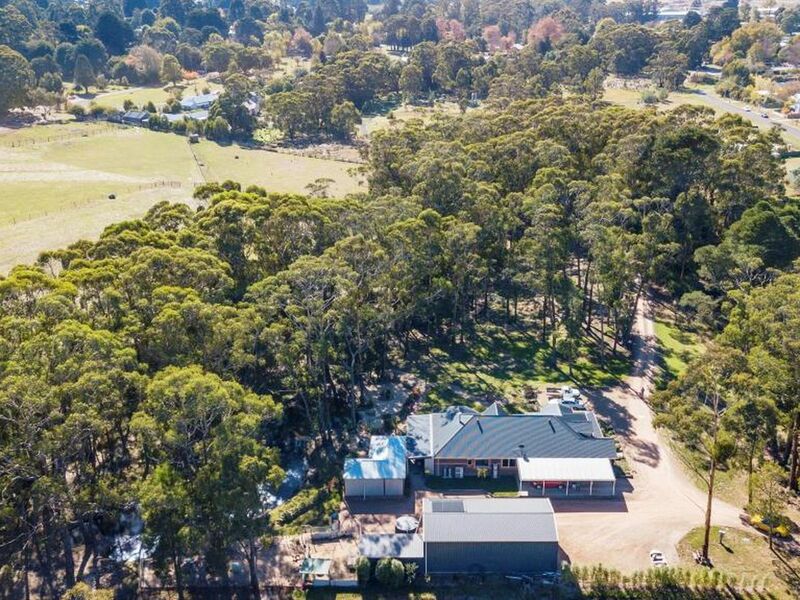 This three-year-old, Victorian-style, Robertson brick home offers luxurious living surrounded by approximately 2.5 acres of gorgeous gardens all within walking distance of Trentham's shopping village. 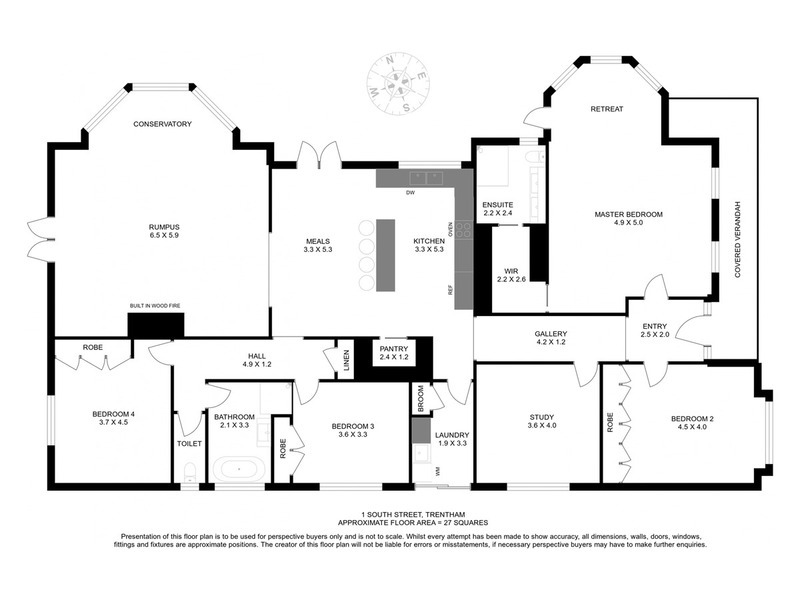 The master bedroom has a walk-in robe, ensuite, and enjoys a fabulous outlook from the large, bay window. 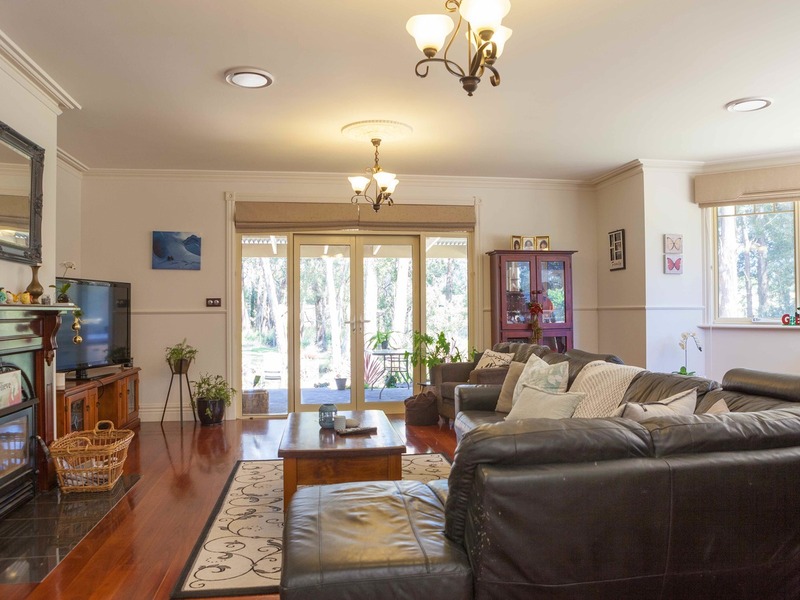 With three additional bedrooms plus a study, this is the perfect family home. 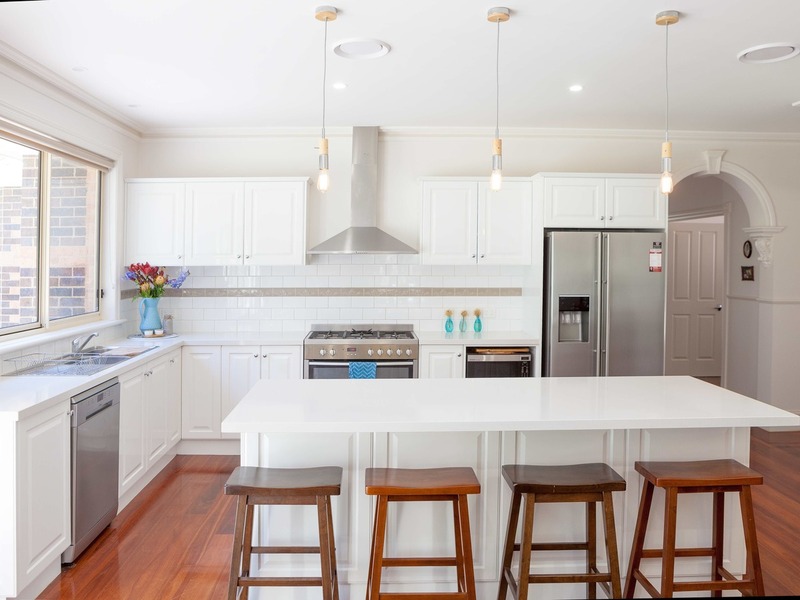 The kitchen features stone countertops, walk-in pantry, Westinghouse gas cooker, an Omega dishwasher, and is open to the dining room with its cathedral ceiling and north-facing French doors. 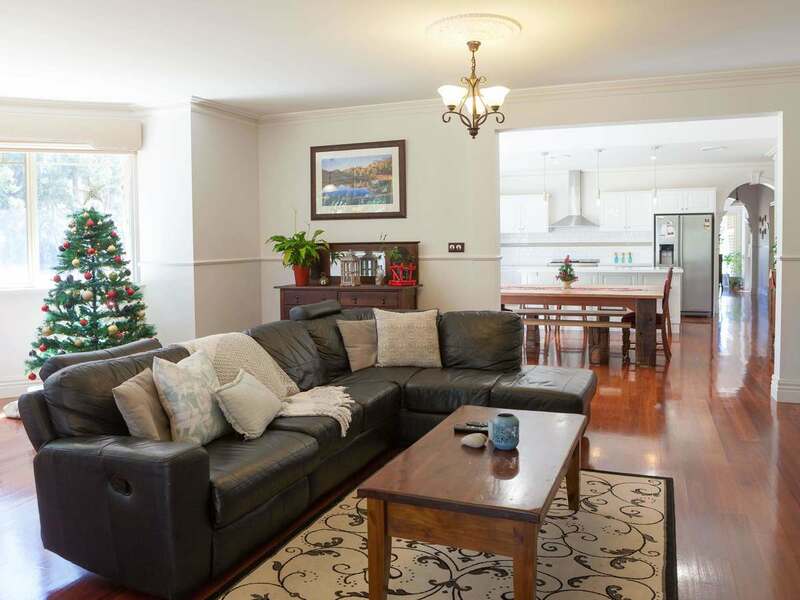 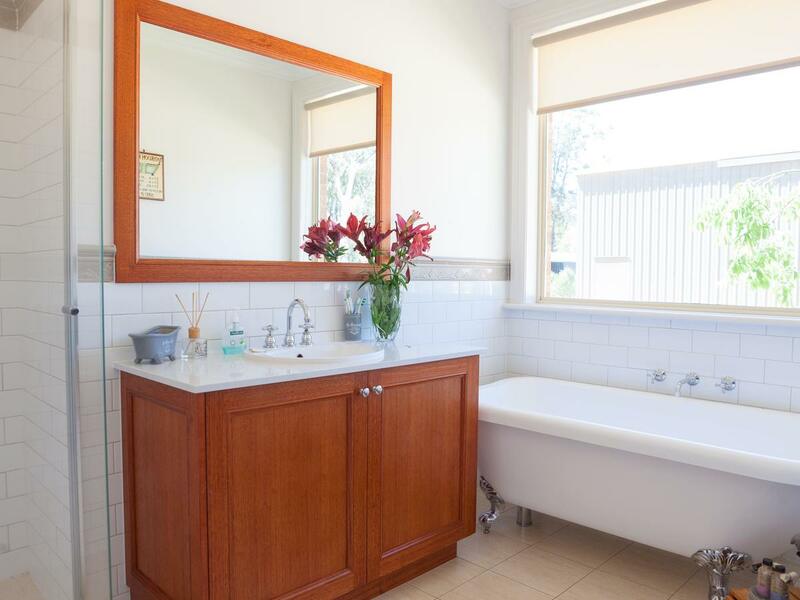 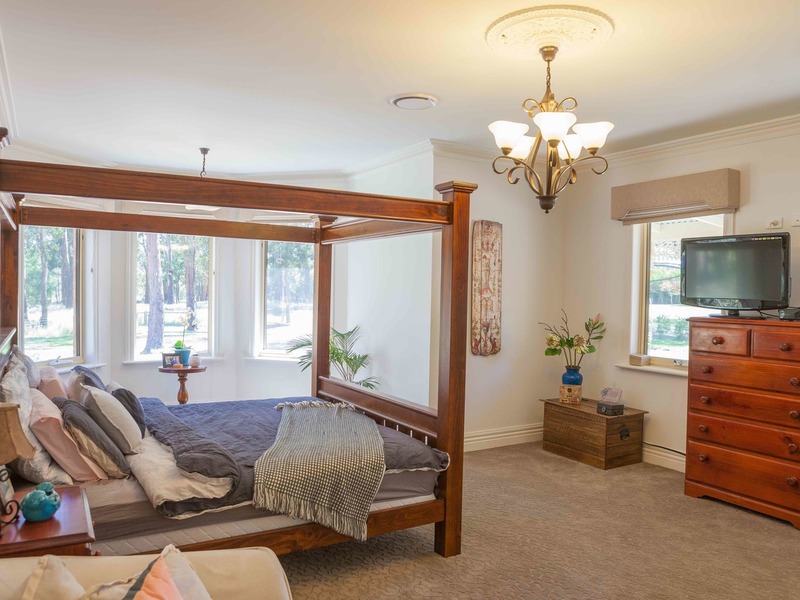 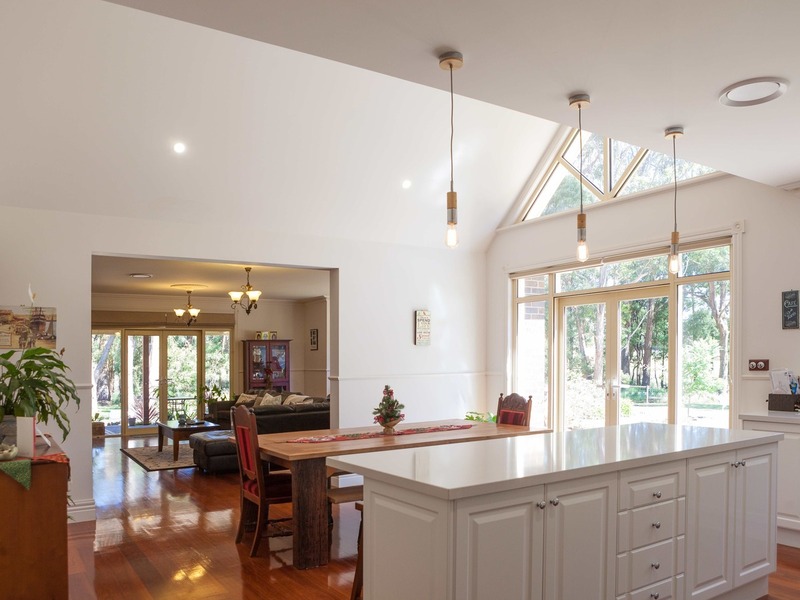 Adorned with Jarrah floors, ceiling roses, corbelled arches, Victorian gutter cornices, and architraves, and featuring double glazing, zoned central heating, split systems, a 6 star energy rating, and ample storage, the home strikes the perfect balance between modern comfort and classic styling. 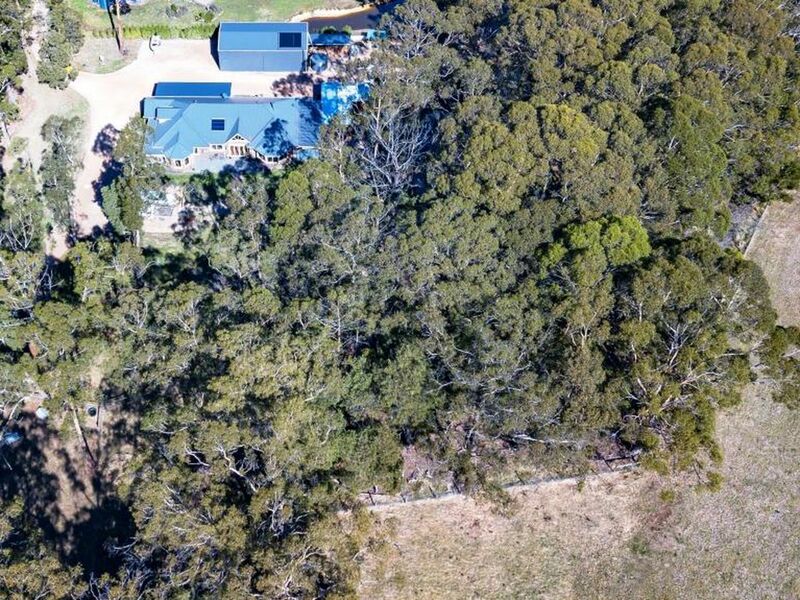 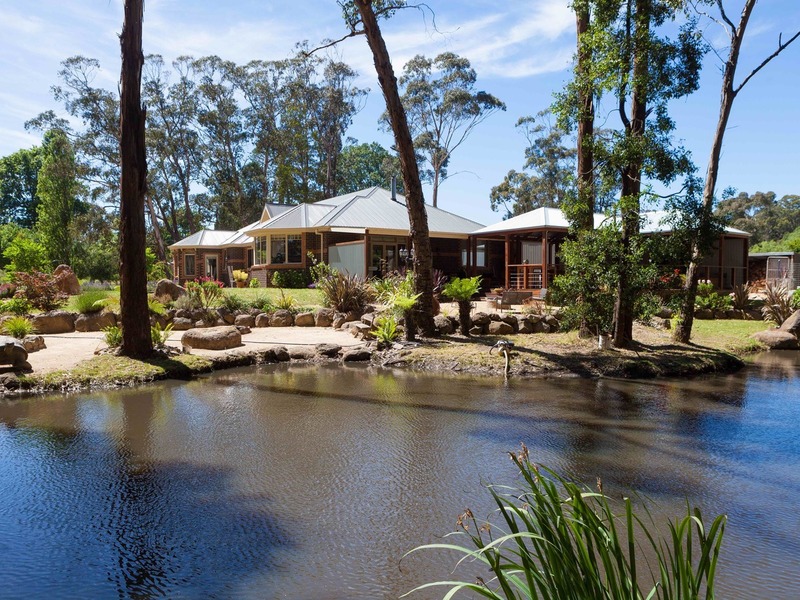 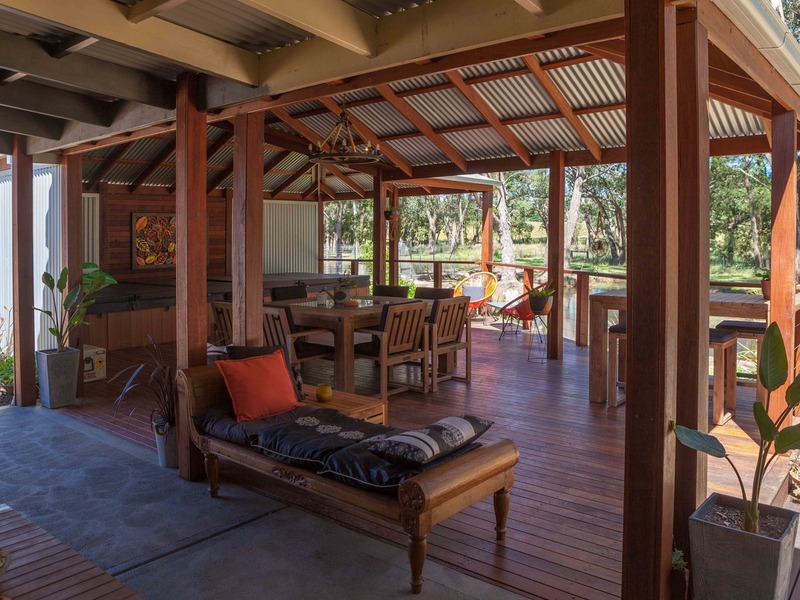 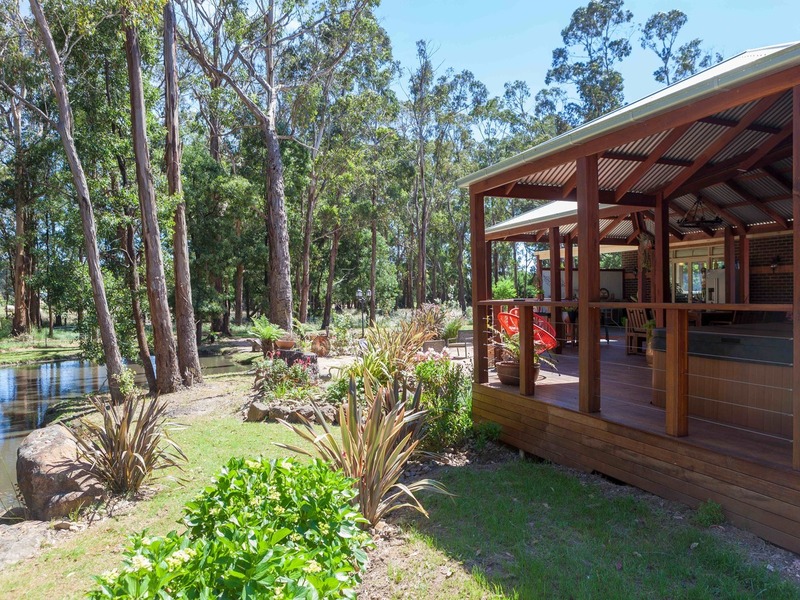 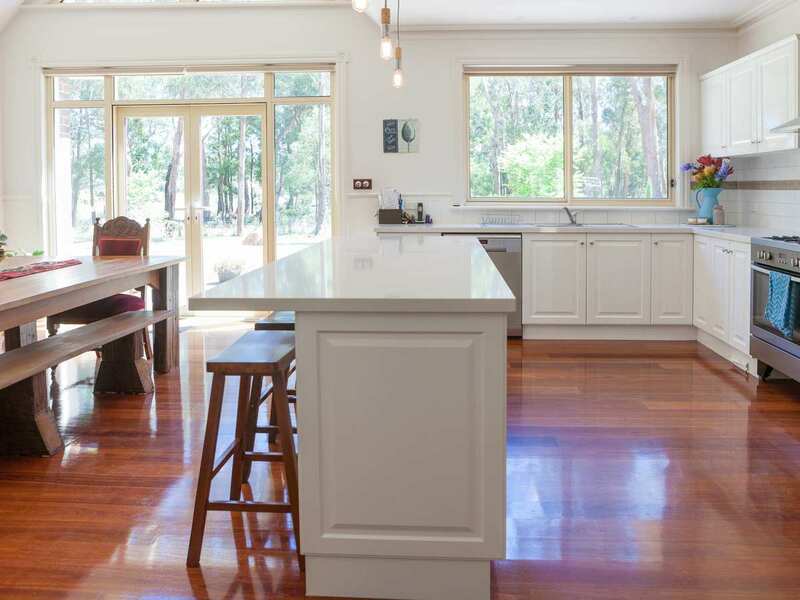 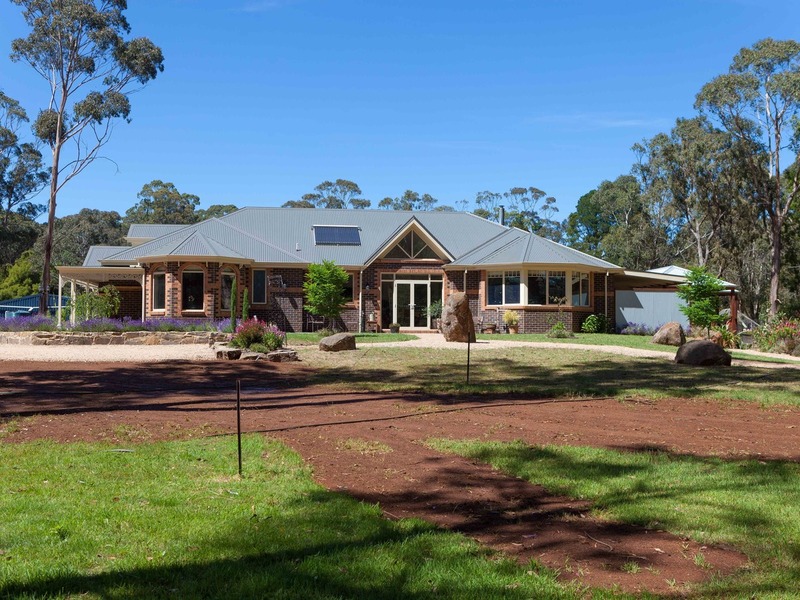 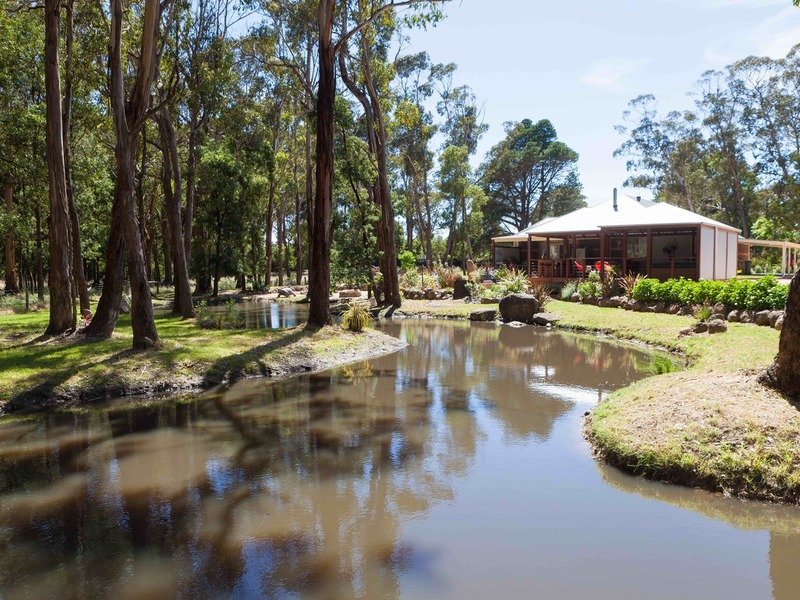 A large shed (14.5m x 7.5m) with power and concrete floors is perfect for a workshop, and for those who like to entertain, the enormous, al fresco dining area is a dream come true—iron bark decking overlooks a meandering pond, sculptural rockeries, and with a solar-heated swim spa, it truly feels like a resort. 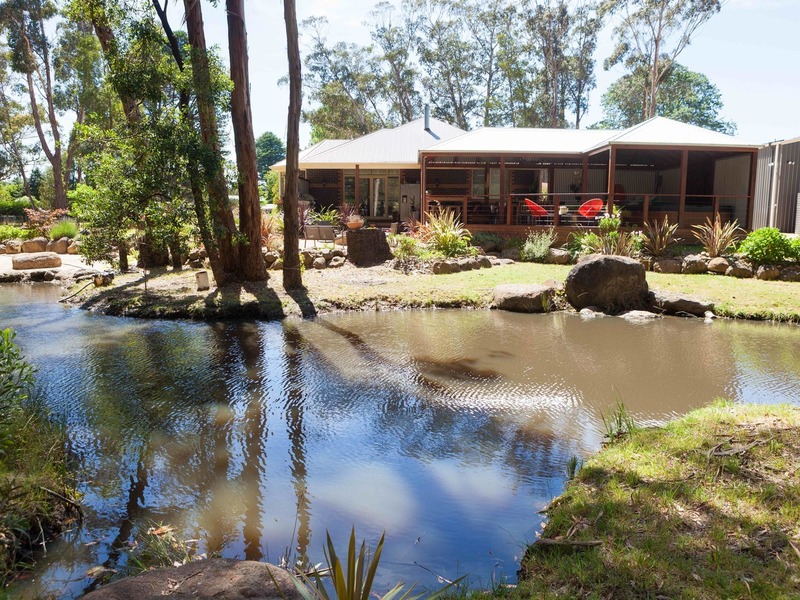 This property will leave you wanting for nothing.